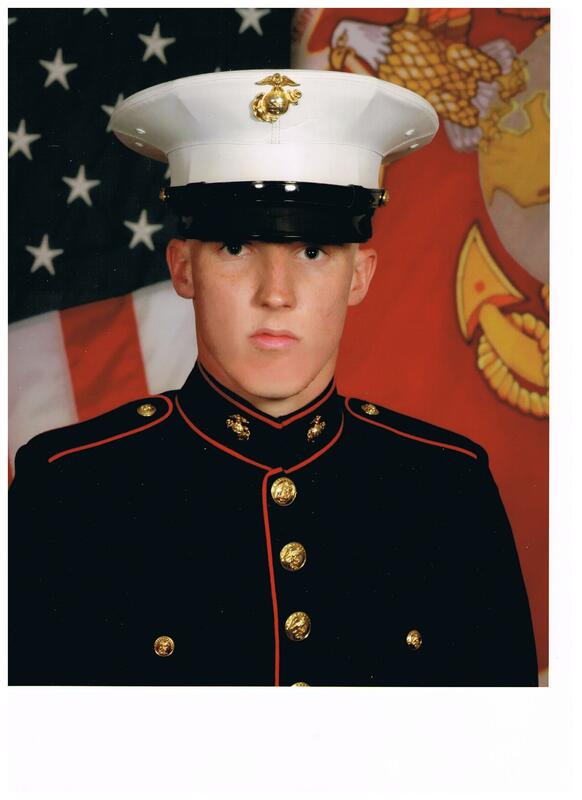 The Round Lake Area Exchange Club and sponsor Lake County Physical Therapy LLC are proud to announce the June Hometown Hero; U.S. Marine Lance Corporal Cassondra Leo, a Round Lake Beach resident and 2007 graduate of Round Lake Senior High School. Leo was registered for this honor by her mother, Leslie Lauritzen also of Round Lake Beach. Leo just returned from Afghanistan this month, she had been deployed since last October and has served in the Marines for the last two years. Hometown Hero Project Chair, Sherry Ridge shared “Cassondra’s Hanging with the Heroes care package will be filled with a favorite of hers, rice crispy treats and other snacks and goodies.” All “Hanging with the Heroes” care packages are delivered with a personalized “Hanging with the Heroes” t-shirt (donated by Artrageous of Hainesville), a piece home and letters from Round Lake Area School District 116 students. The Round Lake Area Exchange Club will present a plaque to the family at their annual installation breakfast on Wednesday, June 27 at 7:30 a.m. at the Round Lake Beach Cultural and Civic Center. Any and all military personnel serving overseas or in the USA from any of the Round Lake Areas, Hainesville, Fox Lake or Ingleside qualify for the program. If you have a neighbor, family member, friend, employee, employer, etc. serving in the military please register them by going to www.rlaexchange.org/hero, five minutes is all it takes. We look forward to announcing the July Hometown Hero. For more information visit the web site or you can contact Sherry Ridge at 847-740-2379.